Call (703) 256-8554 for family dentistry in a caring environment! As a premier dental care practice serving families in the Virginia communities in Arlington, Fairfax, and Prince William counties, Springfield Lorton Dental Group leads the charge in exceptional dental care. 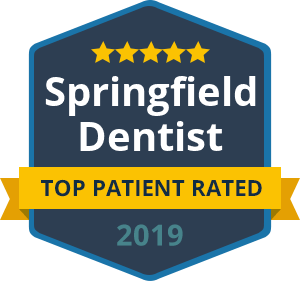 Voted as Top Dentist in 2015, our state-of-the-art office focuses on sterility and safety to give patients the best treatment in a comfortable, pleasant environment. Our compassionate team understands that each individual’s needs are different. Thus, patient education and long-term comprehensive care is important. At Springfield Lorton Dental Group, you can achieve optimal oral health, and we are dedicated to help you every step of the way. The combined knowledge and expertise of the staff at Springfield Lorton Dental Group brings a host of general and cosmetic treatments to those in Virginia, from Alexandria to Woodbridge and surrounding areas. While early treatments and checkups are important, specialized services are also available. From veneers to bridges, bonding, and crowns, your treatment can be as unique as you are. In addition to the health of your teeth and gums, our staff also addresses any concerns related to TMJ Disorder, Sleep Apnea, and Snoring. Are you seeking a cosmetic restoration or complete smile makeover? The dentists at Springfield Lorton Dental Group take into account the form and function of your smile. You can trust us to provide you with customized options for creating a smile that you are proud of, as well as one that allows you to resume normal activities with confidence. Through Invisalign, Teeth Whitening, or a combination of cosmetic services, we aim to provide personalized care for patients. 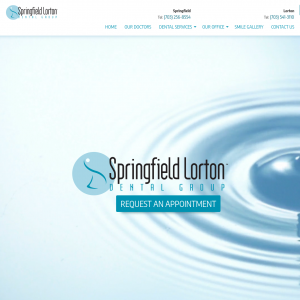 Achieving the healthy, beautiful smile you want and deserve is within reach at Springfield Lorton Dental Group. With extensive training, flexible finance options, and special hours to suit busy lifestyles, Springfield Lorton Dental Group welcomes your family to our practice. Call us today.